I made this bucket list in high school of places I want to travel. It was a pretty sizable list, and I figured it would take me until I was a rich, crazy purple-haired granny to visit them all. 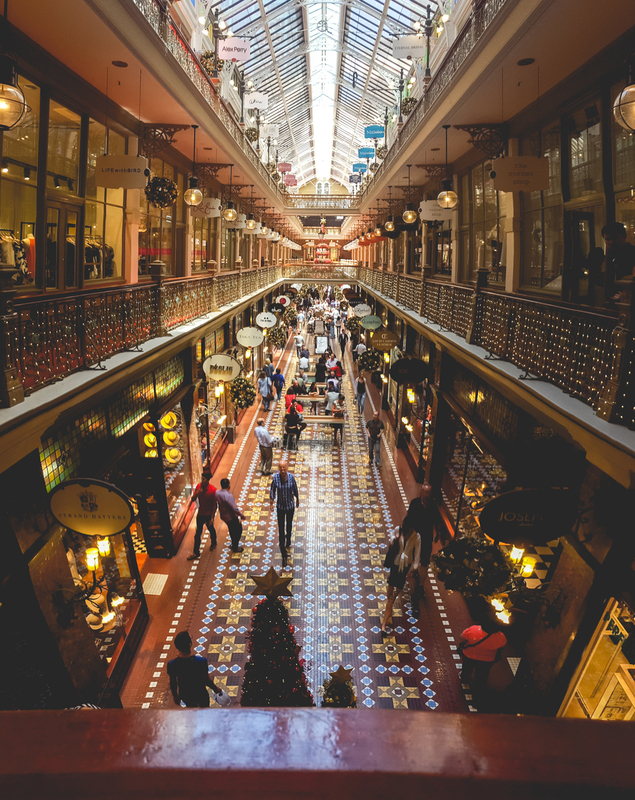 I've been lucky though, when it comes to travel, and I realised recently that there were only two places left on my list. One is to hike the Inca trail to Macchu Pichu (I hear this is closing or something? NO!) 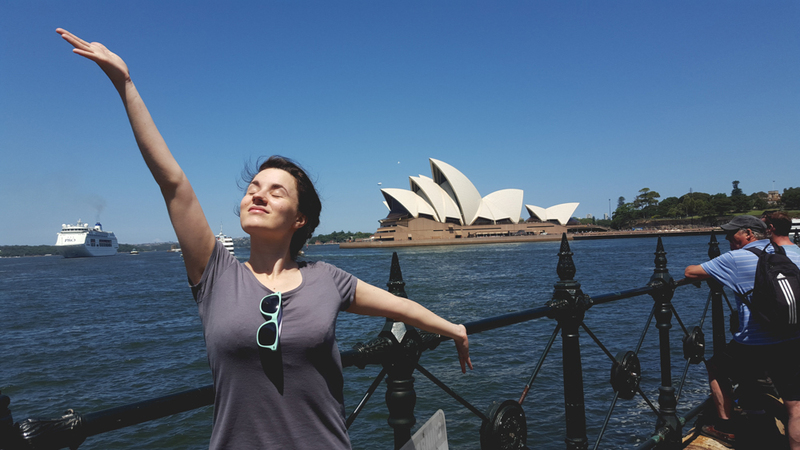 and to see an opera at the Sydney Opera house. 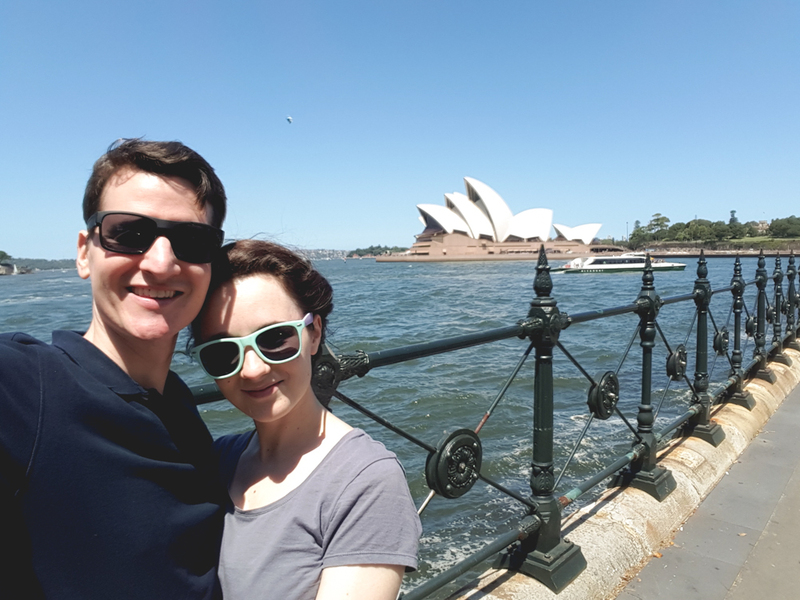 Well, people, we made it to Sydney and here are a few of our adventures.... (one of which is the opera house, but we'll talk about that later). First of all, check out the view from our hotel. HOLY MOLY. 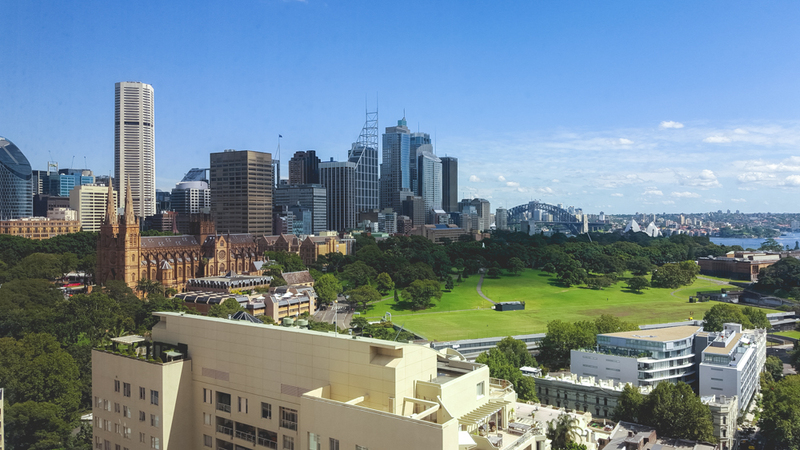 On the right you can see the Sydney Harbour Bridge and the tips of the Opera House pointing out over the trees of the Royal Botanical Garden. 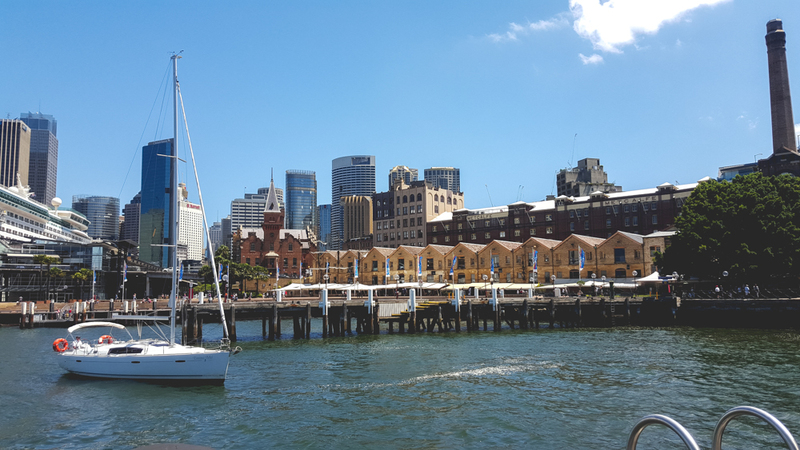 Then there is the whole beautiful city of Sydney with St. Mary's Cathedral to the left. I've never had a a hotel view quite like this, and is probably why we spent part of day 2, lounging about and ordering room service. By the way, room service is awesome. And, since we are usually in the just-barely-out-of-the-price-bracket-of-hostel-accommodation, it's not a luxury I have had the pleasure of enjoying that often. But, boy it is a wonderful thing. 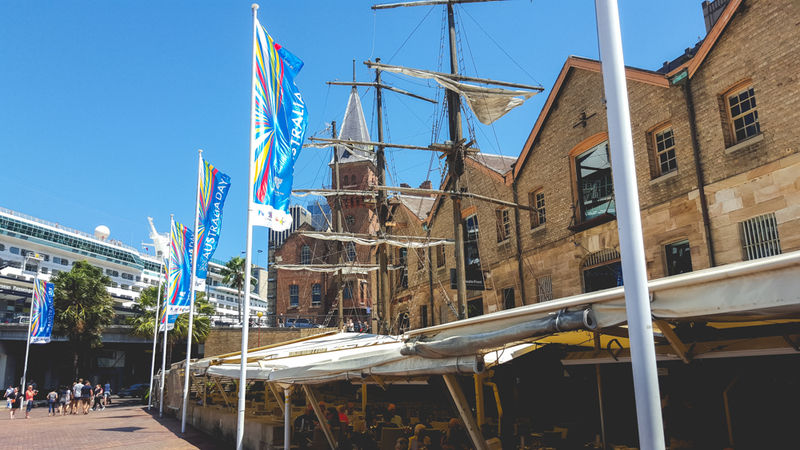 After checking in and such on day one, we had a stroll through Sydney. 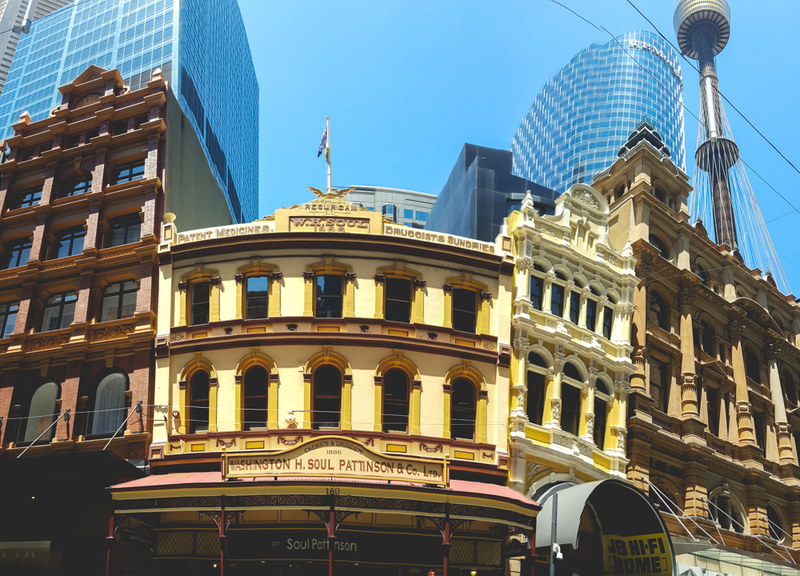 I love love love eclectic cities, and Sydney is definitely one of them. 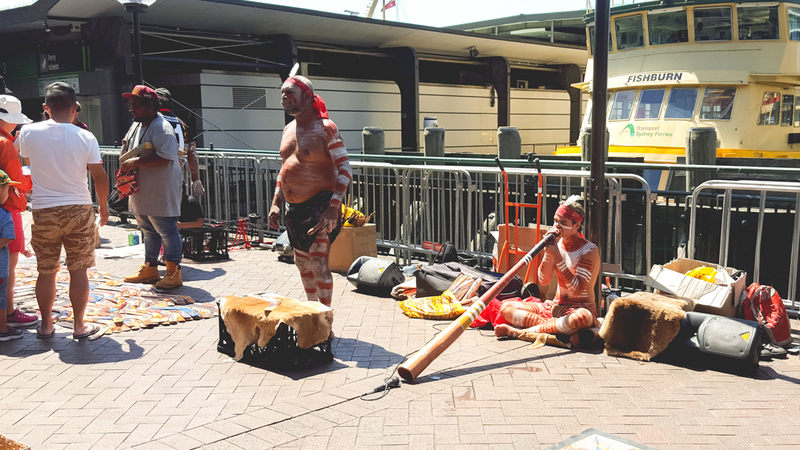 Around the harbour there were some aboriginal men playing the didgeridoo and painting. 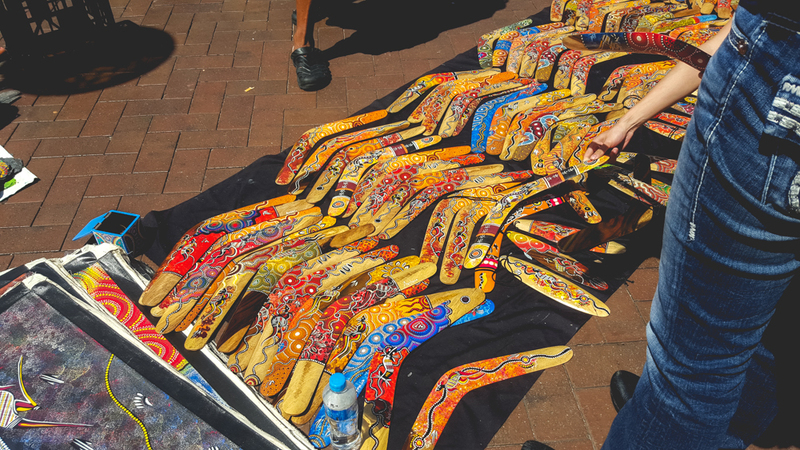 They also had these sweet boomerangs for sale. More to come soon! 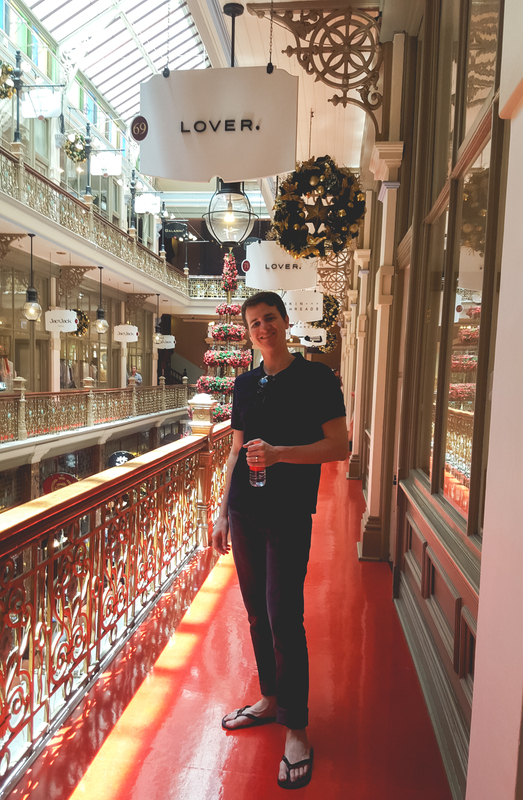 I'll be posting about the world's most disappointing milkshake (that is not even hyperbolic, it truly was) and seeing La Boheme at the Sydney Opera House. Check back in soon!